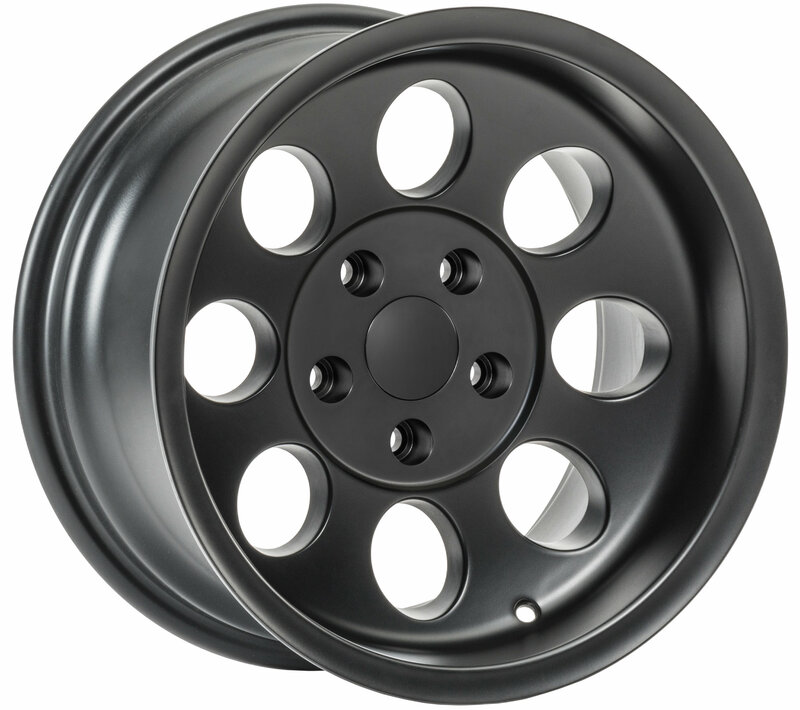 Your Jeep deserves a set of rugged good-looking wheels with a classic design. The Quadratec Baja Xtreme Wheel in Satin Black is that wheel. The eight-hole is a timeless staple of Jeep and off-road vehicles. Like all Quadratec alloy wheels, the Baja Xtremes are hub centric for better weight distribution and precise fitment. They also feature interchangeable center caps for a custom look. With multiple sizes and finishes available, you can find the perfect wheel to compliment your Jeep. Other finish options include Silver and Gun Metal Gray. Satin Black Finish: This durable powder coat is both long lasting and chip resistant. Interchangeable Center Caps: A smooth snap in cap color matched center cap is included with each wheel. Baja Xtreme wheels are also compatible with Mopar center caps that feature a Jeep logo (sold separately). Timeless Good Looks: The classic eight-hole wheel design is as ageless as the seven slots of a Jeep grille.